Hey guys! 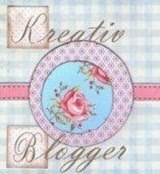 Just wanted to let you know about my buddy Scott's latest giveaway over at his cool blog, SHATTERED RAVINGS. 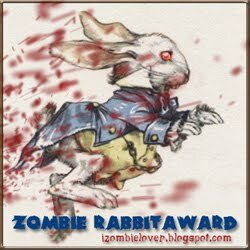 In addition to running his own cool sci-fi/horror/fantasy blog, Scott does some guest reviews for me periodically for this here 4H blog! Right now, Scott is hosting a contest where he is giving away not 1, not 2, not even 3 or 4, but 5 copies of a new book called SHADOW OPS: FORTRESS FRONTIER by Myke Cole to 5 lucky winners! You can read Scott's review of the book here. It sounds like a pretty cool military sci-fi/fantasy book. 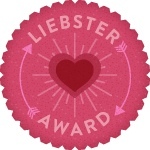 The contest only runs through next Tuesday, 2/5, so hurry and enter today! Entering is super easy (just leave a comment on the contest post and then just like the Shattered Ravings Facebook page). Good Luck!! CLICK HERE to go to the Shattered Ravings contest blog post and enter today! A western businessman (Cary Elwes), his Thai wife and son experience a horrible accident while visiting Bangkok. In the aftermath, they find there is a shadow world between life and death where endless darkness lies. Has anyone seen this film? It looks like it could be pretty good. The trailer has some pretty cool images, especially towards the end of the trailer. Check out the trailer and let me know what you think. 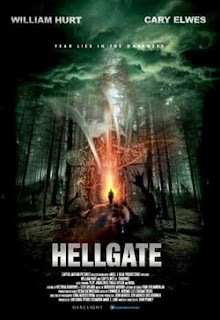 HELLGATE is currently available as a 48hr rental from Amazon.com. From master horror writer Gary Brandner, author of 'The Howling', and filmmakers Richard Stoudt and Laurence Holloway comes a relentlessly harrowing film experience. A trio of horrors that will make your flesh creep and your heart palpitate. 'Invitation', based on a short story by Gary Brandner, tells the tale of loser Len Krager, who attends a party he'll never forget! A vengeful spirit exacts revenge in the tale 'All Hallows' Eve'! An exercise in suspense and atmosphere. Robert Mundy doesn't celebrate Halloween since the accidental death of his brother on Halloween night. But this Halloween night, vengeance will rise and seek retribution. Ghostly road hazards endanger a used car owner in the turbo-charged yarn 'Repossessed', a spine tingling 'vehicle' for absolute fright. Jeff purchases a killer car for a killer deal....unfortunately, the car really is a killer! 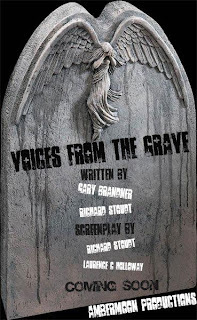 A true exercise in style and terror, 'Voices from The Grave' will thrill and chill even the most jaded horror fan! Keep up with release date info by checking out the film's facebook page by clicking the link below. A while back, I reviewed 2 of Director Walter Ruether's (a.k.a. Scarlet Fry) earlier films, JUNKFOOD HORRORFEST (see review here), and NIGHTMARE ALLEY (see review here). 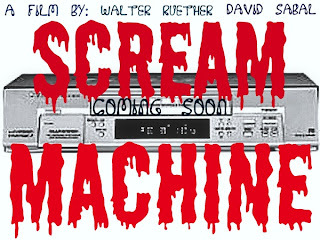 Well, Mr. Ruether is back with the upcoming new film, SCREAM MACHINE. This new film is done in the same anthology style as his previous films, which I really like. I have always liked anthologies because if there is a story you don't like or just aren't in to, well, a brand new story will be coming up soon, and there's bound to be a few you like. Unlike a normal single story film, if you don't like that story or can't get in to it, then the whole movie it ruined for ya. I also probably like the anthology style because of my short attention span! But enough about me, lets talk more about this new film called SCREAM MACHINE! Check out this info I got a press release the other day that tell you all you need to know! FIVE OF THE DEADLIEST TALES EVER TOLD ON AN OLD HAUNTED VCR CALLED SCREAM MACHINE. A battered and mysterious VCR...A bevy of lethal video- tapes... These are the building blocks of horror in "SCREAM MACHINE". Do you dare give fate a winning hand, and test yourself against the hellish consequences of the SCREAM MACHINE? "LIKE" the film's facebook page to stay up to date and get new info and news on release dates. I will be checking this one out for sure! 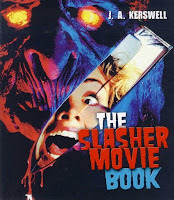 A detailed look at the surprising beginnings of the slasher movie—a genre that brought a new high in cinematic violence and suspense to mainstream cinema—this grisly guidebook revels in its glory days of the late 1970s and early 1980s and discusses its recent resurgence. Packed with reviews of the best (and worst) slasher movies and illustrated with an extensive collection of distinctive and often graphic color poster artwork from around the world, this book also looks at the political, cultural, and social influences on the slasher movie and its own effect on other film genres. Also included are a list of the top-10 body count films, trivia about famous actors who made their big-screen debuts in slasher films, a glossary of need-to-know terms, a list of additional reading, and recommendations of websites to head to for additional macabre movies. The book is a 208 page Trade Paper Back and is in full color, with tons of great photos of old movie posters and stills from the movies. The book traces the roots of the modern slasher film all the way back to the Grand Guignol theater of the late 1890's, through the Italian Giallo films, and to the height of the Slasher film popularity in the late 70's to early 80's. Kerswell does a great job with this book. It's amazing to see how much research he put into this book, as he leaves no stone unturned. All your favorite slasher films are discussed here, along with some (I suspect) you may have never even heard of! This book is a must-have in my opinion, for all horror fans and horror book fans. They don't get much better than this! A while back I posted the awesome Red Band Trailer for the upcoming EVIL DEAD remake. Well, now there is a new Green Band Trailer out there for your enjoyment. While most of the footage is the same, there is some new footage in this new trailer. I can't tell you how excited I am to see this movie. April 12th can't get here soon enough!! This movie is a lot of fun. It is a blast seeing all these famous monsters together all in the same film. The humor is good on both a kid and adult level. One thing I always like about animated films like this is trying to pick out the actor's voices. The lead character of Dracula is voiced by Adam Sandler, which was pretty easy to figure out based on his unique voice. This film has a lot of other great comedy actors lending their voices to the various characters, including Andy Samberg, Molly Shannon, David Spade, Jon Lovitz, Chris Parnell, Fran Drescher, and Kevin James. This movie is very funny. One part that was funny was when the Frankenstein jumped off the octopus and landed into the water and broke into pieces. I think everyone will like this movie. My mom laughed so this movie is good for adults, too! This movie is really fun and one funny part is when the Frankenstein uses his pants to toot on the Mummy and it makes everyone think the Mummy did it. Announcing the winner of the latest 4H DVD Giveaway!!!! CONGRATULATIONS to Daphne, the winner of our latest DVD giveaway!! Daphne has won the Indican Pictures DVD prize pack! Stay tuned as we will have another giveaway up and running soon!! I really enjoyed THE LAST EXORCISM, so was super excited to hear that the movie's title was wrong, as there will be another exorcism! THE LAST EXORCISM 2 hits theaters March 1 of this year! It looks like poor Nell Sweetzer has been taken control of again by a demonic force, and all hell breaks loose! Check out the trailer and let me know what you think. I will be checking this one out in the theater for sure! From the writer/director of BOXING HELENA From the mind of writer/director Jennifer Lynch comes the shocker that stunned audiences worldwide: When he was 9 years old, Tim and his mother were abducted by taxi-driving serial killer Bob (an intensely disturbing performance by Vincent D’Onofrio). Tim’s mother was murdered. Tim was kept as a chained slave, forced to bury the bodies of young women Bob drags home and keep scrapbooks of the crimes. Now a teenager, Tim (Eamon Farren) and Bob share a depraved father/son/protégé relationship. But who will ultimately sever the bond between ‘family’ and unimaginable horror? Jake Weber (“Medium”), Evan Bird (“The Killing”) and Julia Ormond (THE CURIOUS CASE OF BENJAMIN BUTTON, “Mad Men”) co-star in what critics are calling one of the most controversial and uncompromising thrillers of our time. Now, I must tell you....this film is difficult to watch. The subject matter is obviously disturbing and it is very hard to watch a small child witness what happens to his mom. But, while difficult to watch, it is even more difficult not to watch. I was hooked from the very beginning and could not take my eyes off the screen. The acting is brilliant, from everyone involved. Vincent D'Onofrio does a remarkable job as the killer and gives a great performance. He is extremely creepy and plays this role to perfection. The characters are believable and what makes this film so effective is that you know this kind of thing can happen and has happened in real life. The movie has a nice twist ending I sure didn't see coming. It also leaves some things unanswered and leaves them up to the viewer to decide what happens next. I love the ALIEN films, and reading through this adaptation of the film was a lot of fun. The artwork does have an old style and look to it, which I personally loved. It reminded me of how comic books looked when I was a kid. The only difference in this version versus the original put out back in 1979 is that artwork and coloring are very bright and vivid. The back of the book explains that "this edition has been digitally remastered for the first time using the original color artwork from the artist's personal archive". I didn't realize that a comic could be "digitally remastered", but I guess it can! The coloring is beautiful, especially in the infamous alien bursting out of the chest scene. Fans of horror comics and the ALIEN franchise will definitely want to check this out. 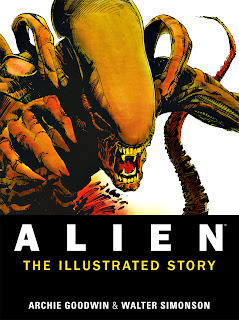 ALIEN: THE ILLUSTRATED GUIDE is available now online and in stores! If your answer is yes, then I say "Thank you, and good luck!". If your answer is NO, then I say "What the heck are you waiting on?'! Up for grabs in my latest DVD giveaway is a prize pack of 6 DVD's courtesy of the fine folks at Indican Pictures! Entering is as easy as leaving a comment on the original contest post...that's it! I pay the shipping and everything! Who wouldn't want some FREE DVD's!! The contest ends next Wednesday, 1/16, so enter soon!! CLICK HERE to go to the original contest post to enter! 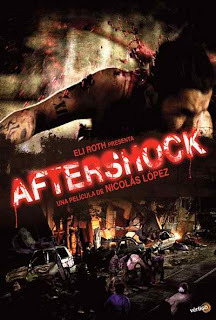 AFTERSHOCK will be released to theaters sometime this year, although a release date has not been set yet. I really like the first two SCARY MOVIE films. I actually like part 2 better than the first one. Then along came part 3 and it was pretty horrible, and then to be quite honest, I totally forgot there even was a part 4. Well, I had no clue SCARY MOVIE 5 was being made, but I saw the trailer the other night in the theater while there to watch DJANGO UNCHAINED (which was a magnificent movie, by the way). So, I thought I would pass on the SCARY MOVIE 5 trailer in case you haven't seen it yet. It looks like basically a spoof of the PARANORMAL ACTIVITY films, and honestly I don't think it looks that funny. Watch the trailer and let me know what you think. SCARY MOVIE 5 comes out April 12th of this year. That is also the same day the EVIL DEAD remake comes out. Guess which film I will be seeing that night!? 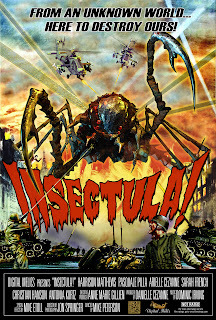 Check out the upcoming creature feature film, INSECTULA!! A giant mosquito-like insect from outer space is drawn to earth from the increased CO2. A mad scientist is determined to help it cleanse the earth of the polluting humans. Only one man can stop it...EPA Agent Dell Biando. This movie looks like a lot of fun! I will keep everyone posted once the film is closer to release! I posted a link to the trailer for the upcoming EVIL DEAD film a few months ago, but now we have a new trailer to oogle over. It is the official Red Band trailer and it looks awesome! I have not been this excited about movie in a long time. 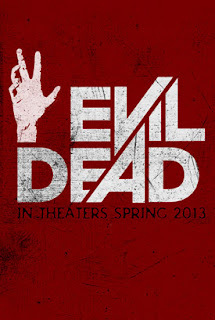 I never had the pleasure of watching any of the EVIL DEAD films in the theater, so I am really looking forward to this! The EVIL DEAD remake has a theatrical release date of April 12, 2013 here in the U.S. Click Here for a list of Worldwide release dates. In a town in southern Sweden, tensions grow between the racist locals and immigrants grow. Meanwhile a ship caring a strange plague enters the town. The crew infects police officers out to investigate and a full-blooded zombie outbreak begins. The town is isolated by the Swedish army, but the survivors inside, immigrants and locals alike, must band together against the infected. Let me know what you think! I think this looks pretty cool. I will keep you posted if I get any updates on this film and when we might be able to actually see the full film. I don't remember how I came across this, but I found a video on YouTube of a show called HIGH SCHOOL OF THE DEAD (H.O.T.D). 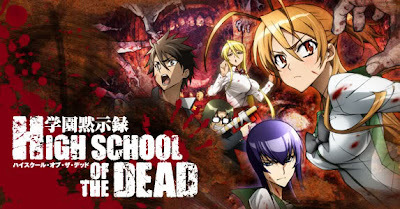 It is a Japanese anime series about a group of high schoolers who team up to fight a zombie invasion. Lots of gore and jiggly Japanese animation ensues! Check out the promo by clicking the link below to get an idea of what this show is about. I bought a copy of the complete series on ebay, but you can also find it on Amazon.com. Maybe this will tide me over until THE WALKING DEAD returns in a few weeks. I am big fan of the HAPPY TREE FRIENDS. For those that aren't familiar, this is web cartoon that features a number of super cute furry woodland animals that die tragic deaths in a variety of gruesome ways. 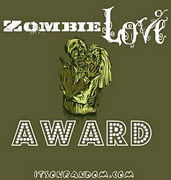 I recently ran across an episode featuring one of my favorite subjects...zombies!! CLICK HERE to visit the official website of the Happy Tree Friends to watch other episodes. This film was a lot of fun. 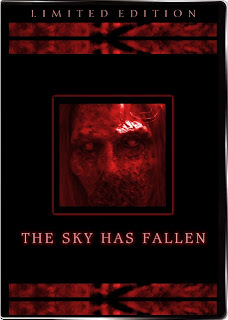 Chuck Walton from Fandango.com has a quote on the cover of the DVD which reads "A scary homage to '80s horror movies.". He couldn't be more right. They don't make these kind of campy, fun, creature features like this anymore. 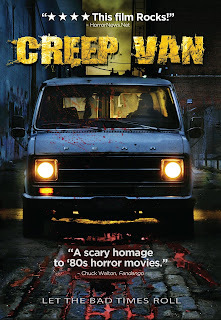 Yes, I consider this a creature feature, it just so happens the creature in this film is a an old rusty van. As the plot states above, the title van has some crazy booby traps installed that kills people that enter the van in a variety of unique and gruesome ways. The gore in this film was truly amazing and included a great body-cut-in-half scene. 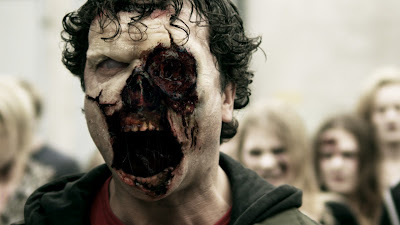 The effects were done by Robert Hall, from the FX company Almost Human. You might know the name Robert Hall as the directer of the CHROMESKULL films. I have had the honor of meeting Robert on a couple occasions at the Texas Frightmare Weekend in Dallas, TX. He is a very nice man and with the work he is doing, should be a much bigger name in this industry. Give it a few years and I think you will be hearing his name and company ranked among the top of the list when it comes to effects work.